AMOLF maintains close connections with Dutch universities and other research institutes. 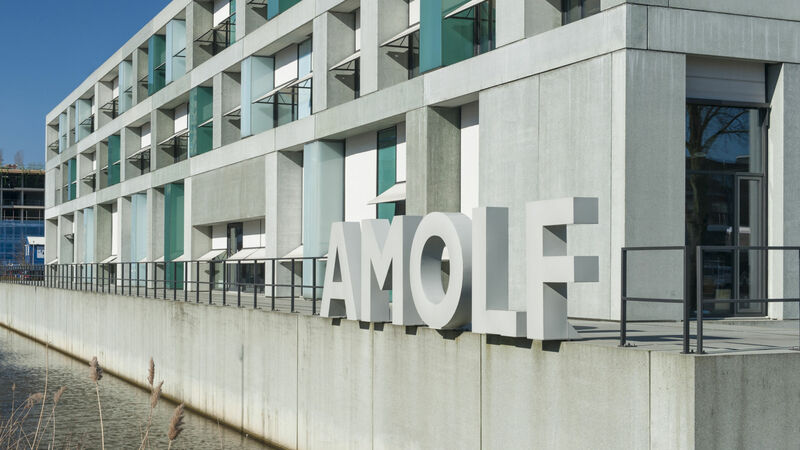 Senior researchers from AMOLF are also a professor at a Dutch University, AMOLF PhD students obtain their doctorates from a Dutch university and university students do internships at AMOLF. Most research projects are realized in collaboration with university colleagues. This collaboration also extends beyond the boundaries of physics. For example, biophysicists work together with biologists and biomedics, and designer matter researchers maintain contacts with materials experts, industrial designers, computer scientists, and mathematicians. In the area of solar cells, AMOLF works closely with ECN and in the area of water purification technology it works closely with Wetsus. AMOLF’s research lies at the heart of the Societal Challenges formulated for the European research program Horizon2020. Examples are health, clean and safe energy, and food security. Besides collaborative relationships in various European programs, AMOLF also maintains intensive contacts with universities in Europe and beyond. Examples are the Biocircle network with Heidelberg, Paris and Dresden, and the Photovoltaics network with Caltech and Stanford. AMOLF works with large and small companies on questions they find relevant but which also involve challenging physics. That happens, for example, in Industrial Partnership Programmes, in public-private networks such as NanoNextNL or within the top sectors. Important industrial partners at present are Philips (photonics and LED lighting), Unilever (hybrid soft materials) and FEI (instrumentation development in the area of electron microscopy).